A classic for a new generation, it’s Lucky Staxx: 40 Lines! From developer Playson, comes Lucky Staxx: 40 Lines, an online slot that borrows a lot of the past in order to appeal to a new generation of players as well as those of old! This slot plays out over a 5x4 matrix, and comes with 40 distinct pay-lines that you must try to navigate in order to come away with all the cash! This slot was released in December of 2018, and already has it began to make waves within the online slot community. It appears that there’s still a place for these sorts of titles, which is a bit surprising considering the technological advancements that have only made the graphics of other slots even crisper! Check out the rest of the review below for some added bits of info on this one. Or you can play slots online now. 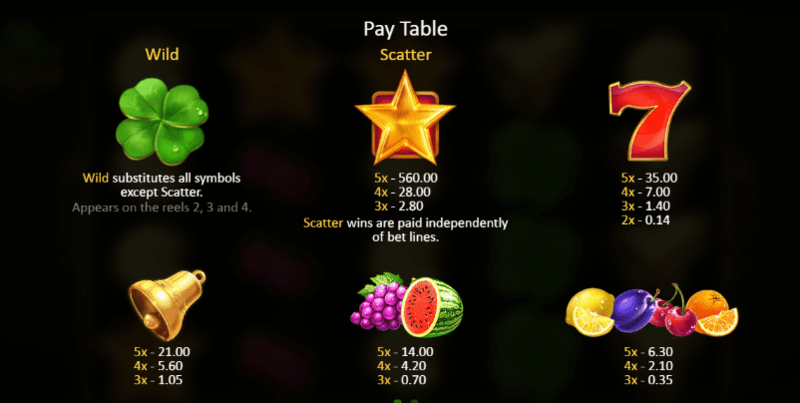 The look and feel of Lucky Staxx: 40 Lines, is one that is oddly reminiscent of the classic fruity slots of old, and if you look at the list of symbols that are included here also, you will find that the comparisons don’t end there. This game doesn't disappoint, that's why it's in the top-rated slot game list. Jackpot: The max win available here sits pretty at 40,000 coins. You will need to be matching the gold star symbols in order to win this pot, which isn’t as simple as it looks so you might need a few tries to get it. 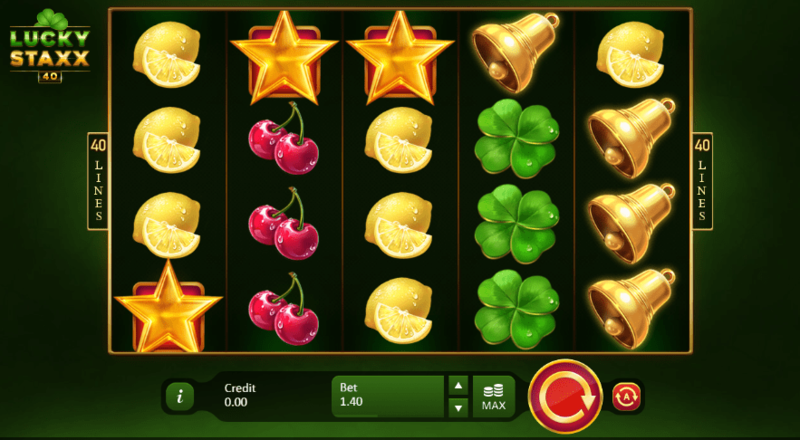 Wilds: The lucky clover is this slots chosen wild symbol. When matched this symbol will bring more scatters onto the board as most wilds do. Wilds also come with a pretty penny too, so be sure to look out for those.